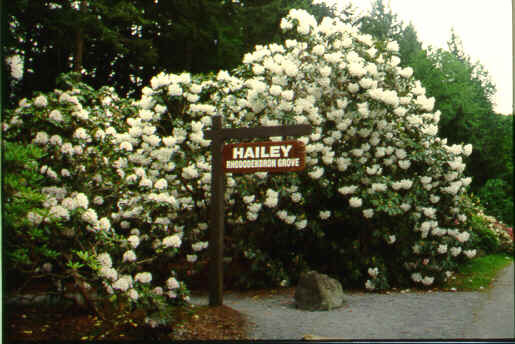 The Hailey Rhododendron Grove is situated in the Millstone Valley of Nanaimo’s 36 hectare Bowen Park. 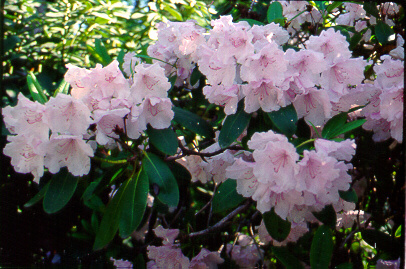 The Hailey Rhododendron Grove is part of a larger and expanding rhododendron garden. 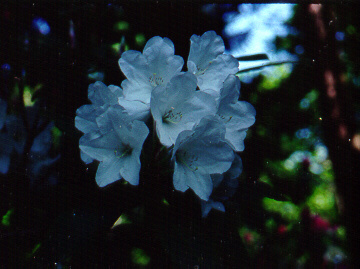 This rhododendron garden was “adopted” by the Nanaimo Rhododendron Society under the city’s “Volunteers In Parks” program as a community project.In April 1975, Mrs. Ellen Hailey donated more than 350 rhododendron hybrids from her collection to the City of Nanaimo. 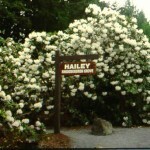 Mrs. Hailey was a charter member of the Vancouver Rhododendron Society in the early 1950s and served as its secretary-treasurer for several years. 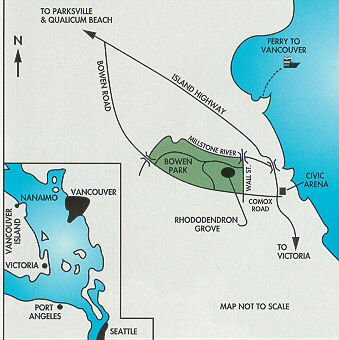 She moved to Nanaimo in the late 1960s when her husband took the position of Harbour Master. 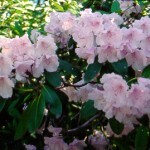 The species rhododendrons in her collection were taken to Vancouver and planted in the Sino-Himalayan area of VanDusen Botanical Garden [see article by Alleyne Cook in the ARS Journal Vol. 62, number 1]. 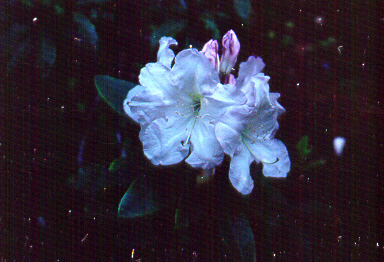 This shows the entrance to the garden with a large Rhododendron ‘Beauty of Littleworth’ blooming behind it.Over the last decade, Vancouver Island rhododendron experts have concurred that many of the plants in the Hailey garden differ noticeably from the many hybrid and species rhododendrons that they are familiar with. These unknown crosses may well be one of a kind. 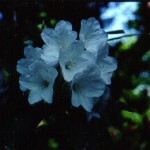 Along with the overall beauty of the plants in the garden this mystery of the unknown becomes part of the lure of the Hailey Garden to everyday passersby and rhodoholics alike.The grove is in flower from late February to early July, but it is at its colourful and fragrant best from mid-April to mid-May. 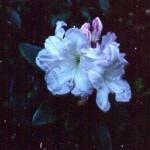 Thus, if your goal is to be overwhelmed by colour and fragrance, you can time your visit accordingly.